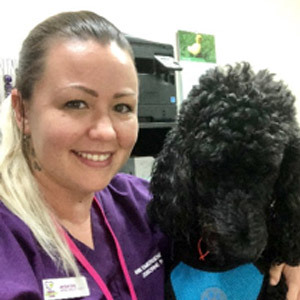 Tegan is a dedicated and qualified vet nurse with over 10 years’ experience in the industry and is also a qualified IMDT dog trainer. 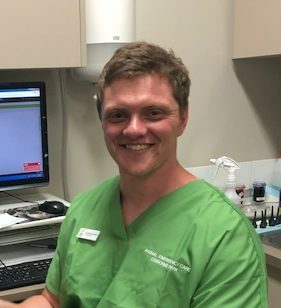 Tegan has worked in small animal and mixed animal practice as well as with specialist veterinary dermatologists, emergency, and exotic animal clinics across WA. 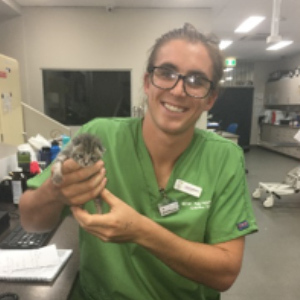 Tegan enjoys all aspects of veterinary nursing but is particularly passionate about patient care, behaviour, dermatology and exotic pets. Tegan is kept busy when not at work with her German shepherd, Siren or running her own dog training business. 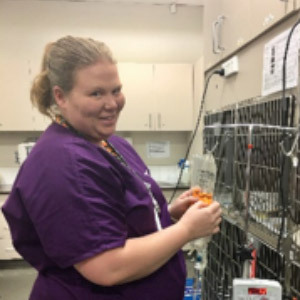 Laura has been nursing animal patients for 6 years and loves all things emergency and critical care. 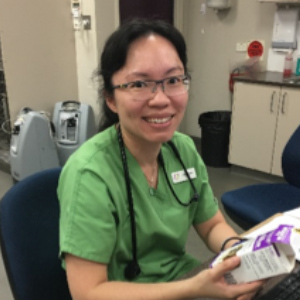 She recently made the move from GP to full-time emergency nurse at AEC in 2017, and she loves the fast-paced, life-saving work that she performs there. Laura has a degree in zoology from UWA and particularly enjoys treating wildlife and learning about animal behaviour. She has three rescue cats and one American Staffy called Harvey. Harvey was rescued from a fighting background and is missing most of her lip! Outside of working with animals, Laura enjoys the local music scene and playing video games. Kate has joined our team from a strong background in general practice vet nursing. She travelled overseas to Edinburgh, Scotland where she lived and worked as a vet nurse for two years. She likes to spend a lot of her time outdoors, especially going for hikes, or just relaxing at home with a glass of wine. She has a beautiful cat called Harry. 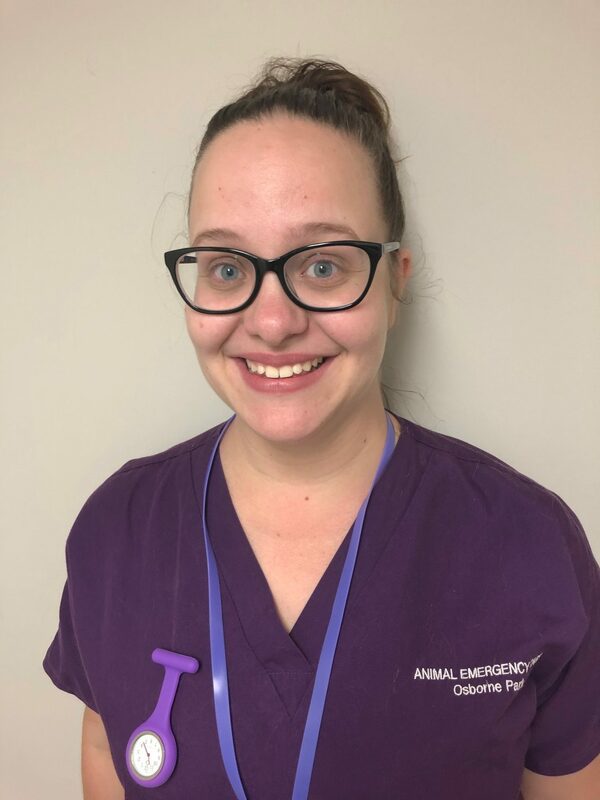 Teghan has been a Veterinary Nurse for 7 years, working mostly in a mixed animal practice in Merredin. Whilst working in general practice, she gained experience working with a variety of animals including horses, sheep, alpaca and cattle. 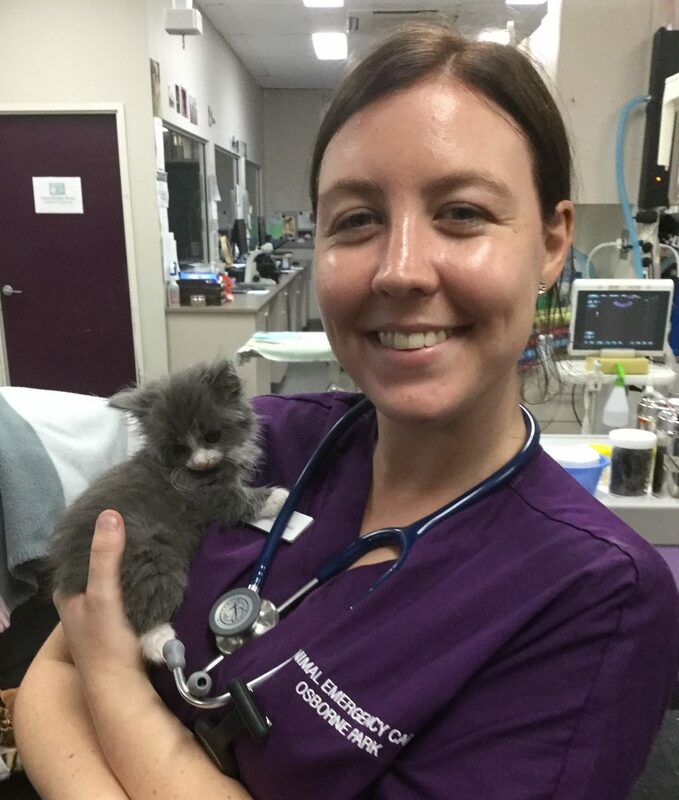 After moving to Perth, she worked as a surgery nurse at Cat Haven for 6 months before making the decision to join the team at Animal Emergency Care in January 2018. 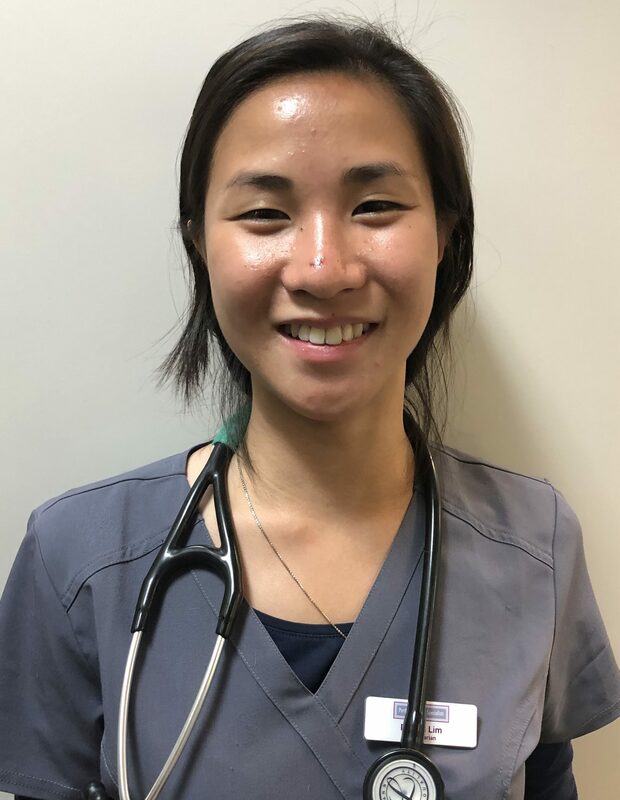 She enjoys the fast-paced environment of emergency nursing and is passionate about providing the best care to patients. 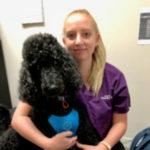 Jess is a registered veterinary nurse of 3.5 years’ experience. 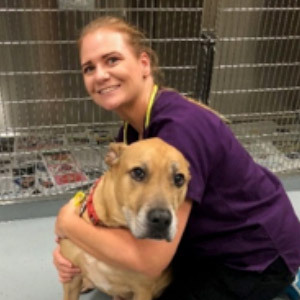 She has recently transitioned to the AEC team as a fulltime nurse from general practice, and she loves the challenges and rewarding aspects of emergency veterinary nursing. She has two dogs (a kelpie x border collie and a kelpie) and a cat. She is a home body that loves to relax with a coffee and go to food festivals. She was born in Queensland and came to live in Perth 5yrs ago to enjoy a more laid back lifestyle. 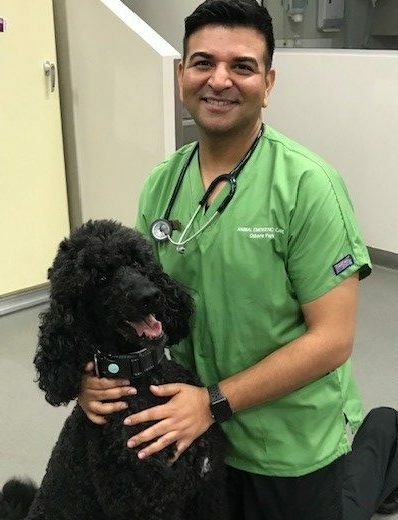 Kennedy is a recent fully-qualified nurse and has over 2 years of experience in busy general practice vet hospitals. 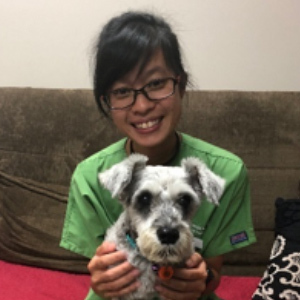 Her passion and interest in emergency medicine has lead her to Animal Emergency Care. Kennedy was born in England and moved to Australia when she was 10. She has 2 beautiful westies called Tilly and Missy. 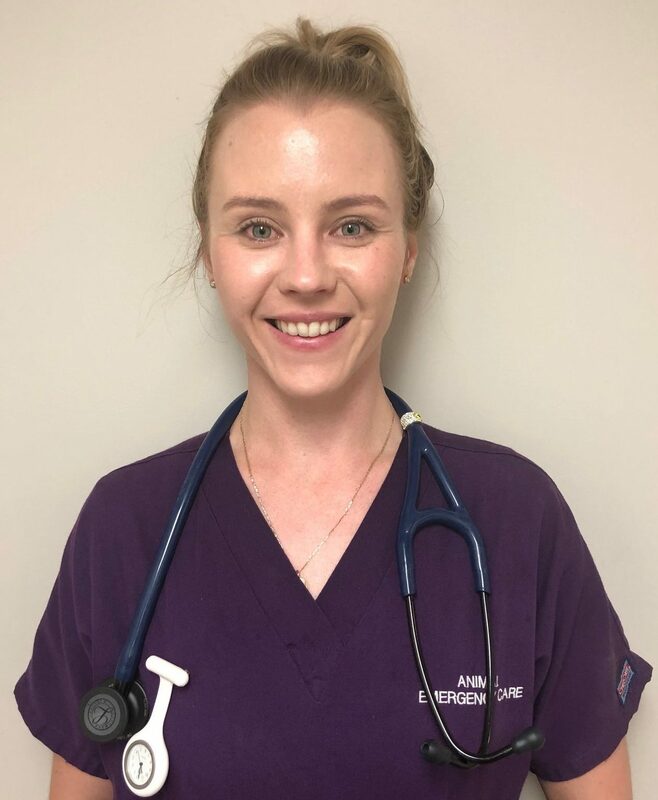 After working in general veterinary practice in the UK for many years, Amy decided she wanted a change of pace and moved to Perth in 2014. 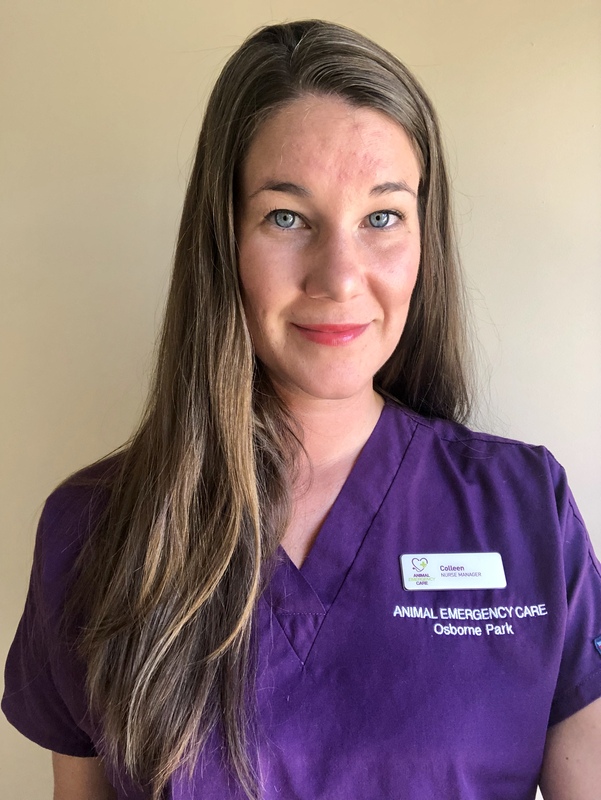 Since then she has worked in a variety of veterinary practices across Perth as a locum and has since joined Animal Emergency Care on a permanent basis. Amy has a genuine passion for her work and thoroughly enjoys the new challenges emergency veterinary medicine brings. In her spare time, you will find her at the local beach soaking up some good old Aussie sun, the novelty still hasn’t worn off. Amy has two naughty-tortie cats at home named Indi and Sakura. 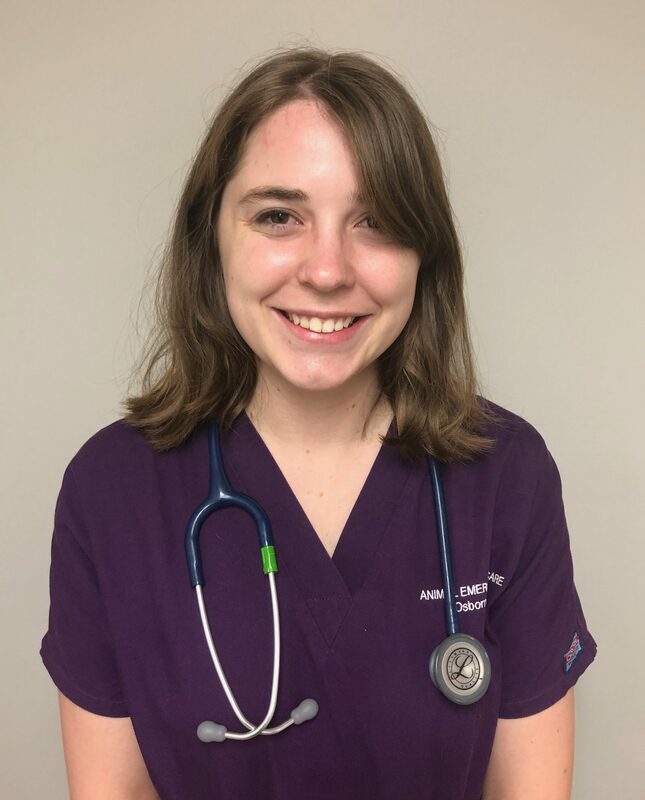 Katelin is our newest casual AEC nurse that will be joining us full-time near the end of April. 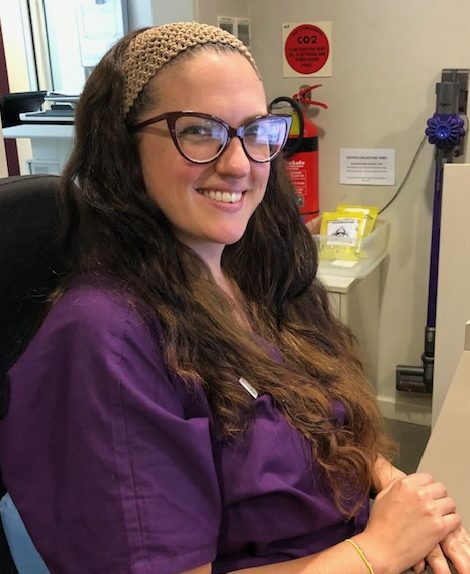 Katelin has recently moved to Perth from Sydney where she has been a veterinary nurse in general practice as well as emergency, medicine, and surgery. She is currently studying a bachelor of science in forensic biology, toxicology, and criminology. She has a lovely rottie x called Atlas who has become our latest canine blood donor hero! 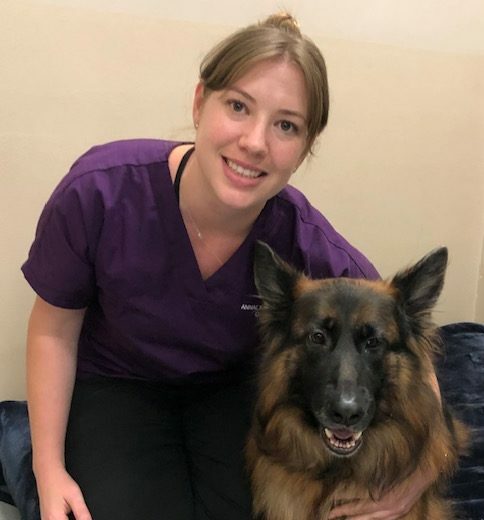 Kerrie-Anne has been working in veterinary general practice since 2012 until starting with the Animal Emergency Care team this year. 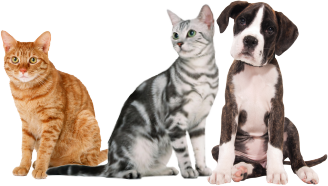 She takes a special interest in vet emergency and obedience having completed courses in each of those areas. She’s married and a mum to 9 a nine-month-old and also has a 65kg neopolitan mastiff called Toby! She loves the simple life, just sitting back and relaxing with a good movie or a pub meal. 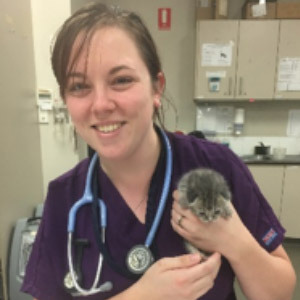 Joslyn has been a veterinary nurse for 13 years and has worked in various emergency and general practice vets around Australia. 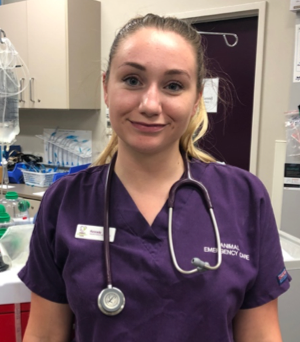 She is very passionate about emergency veterinary nursing and is transferring to human emergency work; she is currently a full-time student studying a Bachelor of Science in Paramedicine. Joslyn enjoys her role as a nurse manager, particularly coordinating continuing education and training for our nursing staff. Joslyn has a wonderful fiancé Nick, two beautiful children, a standard poodle named Jagar and a rescue cat called Puss-Puss. 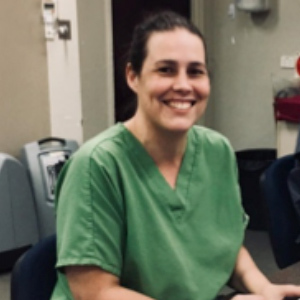 Colleen, one of our Nurse Managers, comes from an extensive emergency and critical care background in both Canada and Australia. 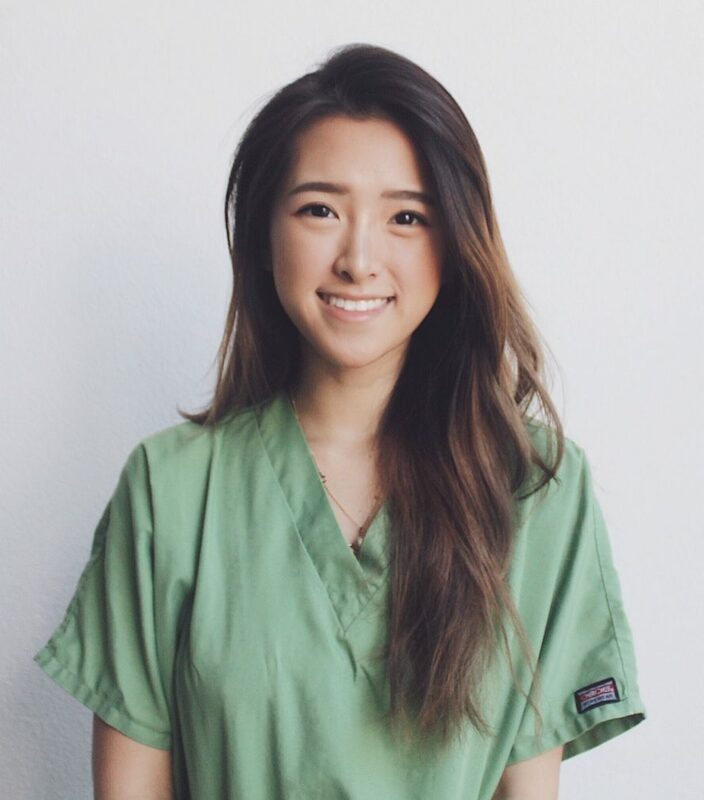 Colleen is also a qualified phlebotomist, therefore her work passion lies in placing IV catheters and drawing blood. In her spare time you may find her surfing, doing nature photography or playing guitar and singing. Hannah has been a veterinary nurse for 8 years. After spending 5 years in general practice, Hannah made the move to emergency and critical care and has loved every moment of it. The fast-paced nature of emergency and having constant opportunities to learn is what Hannah enjoys most. And, of course, helping to save the lives and alleviate pain and suffering in furry family members. In her spare time, Hannah likes to hang out at the park or down the river with her rescue dog named Piper. 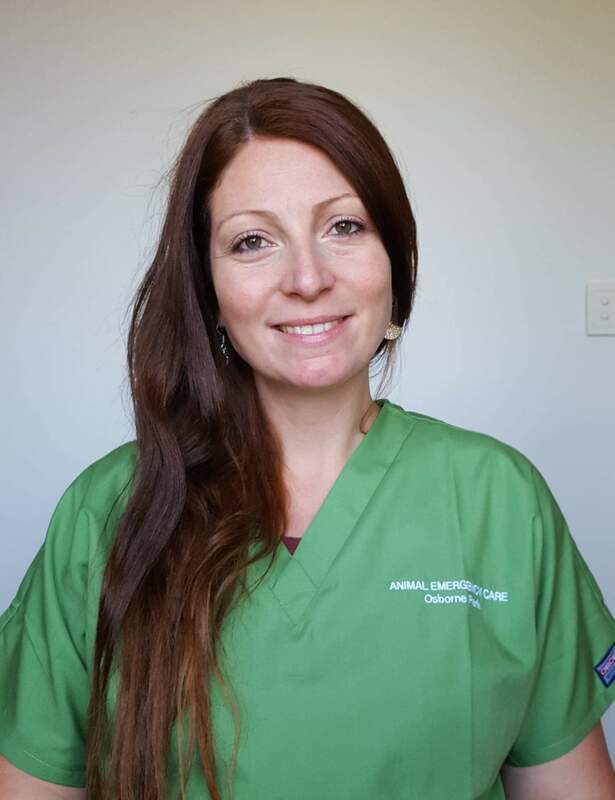 Adelle has been a veterinary nurse for 10 years, and she is one of AEC’s fulltime nurses. She is a horse and horse-riding fanatic, and spends her spare time caring for her horse and 2 rescue pets. Peanut (pictured) is a regular visitor to AEC. Adele is a big foodie and an even bigger Harry Potter nerd.